Our Directory and Phonebook is completely free, but you must be a local. We are already the largest completely free directory, and if you’re listed in the directory I generally try and write an article about you or do a video (YouTube) interview. This is completely free local marketing. Your local Beerwah and Glasshouse Aussie broker. Andrew has been a professional bookkeeper running his own Jim’s Bookkeeping franchise for the last seven years. His previous experience includes thirteen years as a Certified Financial Planner and about the same time working in a number of different banks. He also ran a food wholesale business for a period of five years. Having recently moved to Peachester after thirty years in Darwin, Andrew is now looking to establish his business in the Sunshine Coast Hinterland region. With many years of small business experience Andrew is well aware of the challenges faced by small business owners in today’s environment and gets a great deal of pleasure being able to assist his clients overcome these challenges and make the most of their business opportunities. He is also very well aware of the time and resources it takes to run your own business and says why spend your time doing something like your books when you would rather be doing something that earn you more money or taking some time out to enjoy yourself. Andrew has a Diploma in Financial Planning and is a Registered BAS agent. He is also a Fellow of the Institute of Certified Bookkeepers and is proficient in MYOB, Quickbooks, SAASU and XERO software. 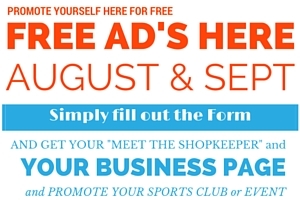 It's Free to join the Beerwah Business Directory. Just fill in all your details and you can be online tonight. We offer free community friendly marketing and advertising. You can have your own page on this website simply by asking. Send us your Article or Guest Post and we will happily add it to the website and send our in our next Newsletter.